Professional Investigation & Protection, Inc. When searching for a Private Detective Agency or Private Detective for any type of investigation, to include event security, insure you are retaining with organizations that are licensed and insured. Professional Investigation and Protection, Inc, is licensed and insured to conduct business in the States of Illinois and Wisconsin. Professional Investigation & Protection, Inc, established in 1998, is a full service Detective Agency, specializing in Investigations and Civil Process. Our ability to acquire critical information and deliver outstanding results has earned our agency the recognition and respect of our clients. Every case that we accept is regarded with the utmost importance and we make certain to utilize every available resource in our efforts to resolve your concern. 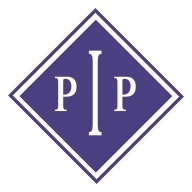 With our team of professional, licensed private investigators, PIP is capable of conducting investigations, developing security solutions and serving process, not only in the State of Wisconsin, but throughout the United States. We pride ourselves on the efficiency and effectiveness of our techniques and our ability to present pertinent and insightful information.